Check out my vlog: Confessions of a Former BBG Girl. 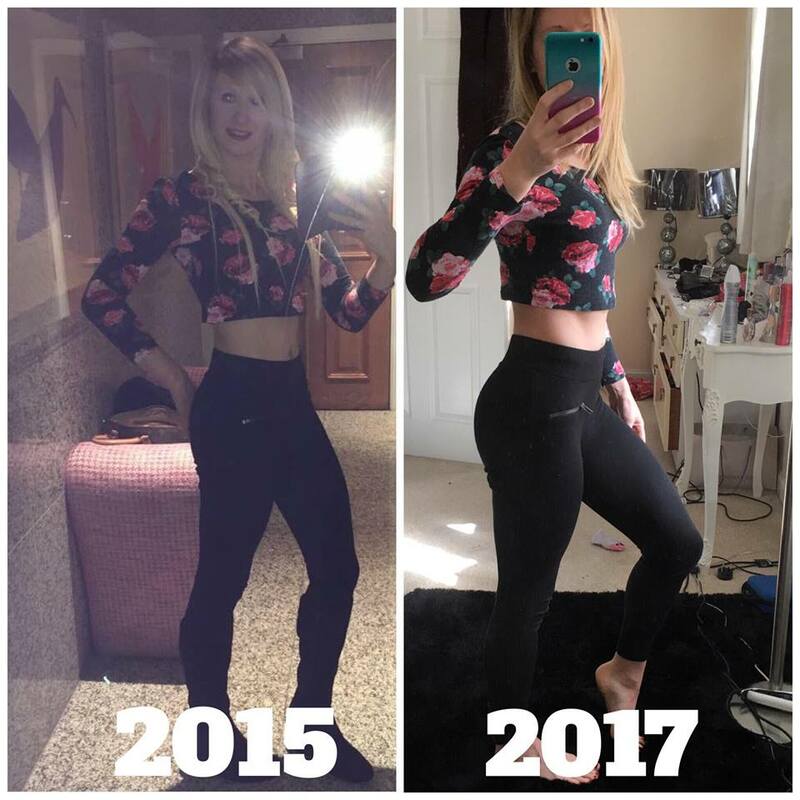 I have been documenting my fitness journey just short of 3 years now, when it all kicked off my goal was literally to loose weight and get skinny, as the weight was falling away my goal changed course, I wanted to tone up alongside this. In this photo I was consuming 1,200 calories a day and weight a mere 7 Stone 12lbs. For a long time this picture above was my ultimate goal. When I looked at this picture I saw hard work, I saw determination, dedication and I saw will power. I was proud of how I looked in this photo and I defiantly did not think that I was 'too skinny'. When I look at it now, I wonder how I ever actually got that 'small', how I managed to stick to such a strict eating regime and how I had the energy to get through the workouts. 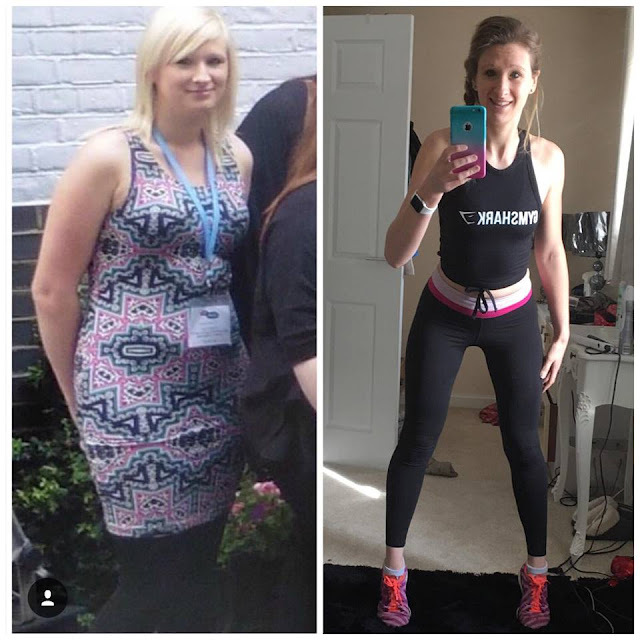 I have come a long way since this photo, I have been so many different weights on my fitness journey, but I am now actively gaining weight and at this precise moment in time I am 8 stone 12lbs. For a long time I held the perception that if I gained weight and ended up weight the same as I did before I started this journey, that I would look overweight and frumpy....again, and this filled me with dread. I did not want to look or feel like the old me ever again. I loved the confidence and the way exercise made me feel inside and out. It's taken me a long time to get my head around the whole eating side of a 'healthy lifestyle', it's taken me equally as long to work out that the scale is meaningless, because it doesn't matter what digits it displays, it cannot measure how I feel, and even if I end up weighing exactly the same weight as before.... I could look entirely different. I have upped my calories from 1,200 a day to a whopping 2,300+ (usually eating over 2,500+). For me I have learned the hard way that I need to feed my body in order to grow and achieve my goals. Food is fuel, Food is energy. Food helps our bodies recover and it's what we eat that opens the doors to reaching the next milestone. I have recently turned my workout regime on it's head, many of you know that I used to follow Kayla Itsines Bikini Body Guide (BBG), but I am now focusing on weight lifting. I am still doing everything from home, over the years I have invested in a lot of the weights that I need in order to be able to do this from the comfort of my own living room. The food I am eating (no calorie deficit!) and the training I am pursuing is helping me grow muscle and with that, the scale is starting to go back up again. I no longer look like I could snap at the slightest touch and I am loving how I am starting to fill out. Once upon a time seeing this sort of weight gain on the scale would have shook my very core, but thankfully I have finally come to terms with the fact that what I weigh really does not mean anything. This before photo was once upon a time my AFTER photo. I am head over heels with the way that I am now training. I never go hungry, I have 3 meals a day and snack whenever I want. If I am hungry I eat. It really is that simple. If you are going through my old mindset right now, please, please, please take a moment and think about your goals. You don't need to restrict food (we all know that I have learned this lesson first hand), you don't need to diet, you don't need to go to bed hungry. What you do need to do is eat nourishing food. Whatever your goals are, weight loss, strength, muscle...You need to eat good food.